Indie Retro News: Hyper Bounce Blast - A Shoot 'Em Up with a Twist! 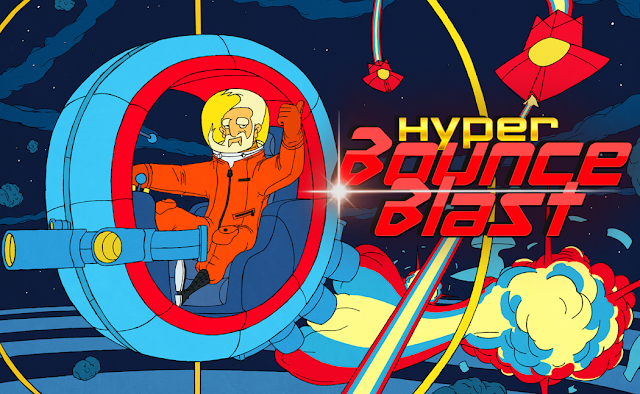 Hyper Bounce Blast - A Shoot 'Em Up with a Twist! Last year PC/Steam users were treated to a unique single-screen shooter by the name of Horizon Shift courtesy of Flump Studios. Fast forward to 2016 and now we get the semi-sequel in the form of the beautifully titled Hyper Bounce Blast. Taking cues from it's predecessor in style and feel, 'Hyper' gives us a wonderful blend of shooting, point building and platforming in a sweet indie title harking back to the tropes of yesteryear. It's mixture of gameplay styles is surprisingly workable and enjoyable, so sit back and relax as I give my thoughts of this neat little polygon blaster. If you missed it, here is a review of the Flump's previous effort, Horizon Shift.